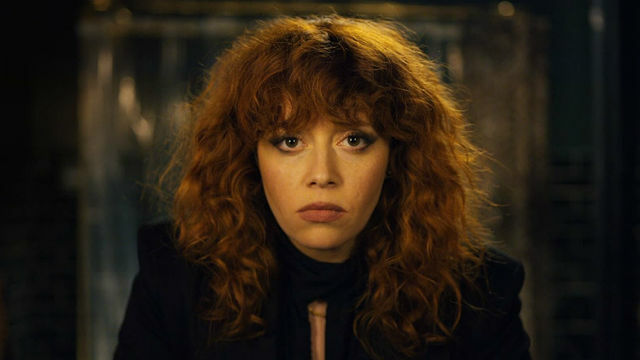 Russian Doll is Netflix’s newest comedy, and it follows Nadia, who gets stuck in a Groundhog-Day-esque loop. 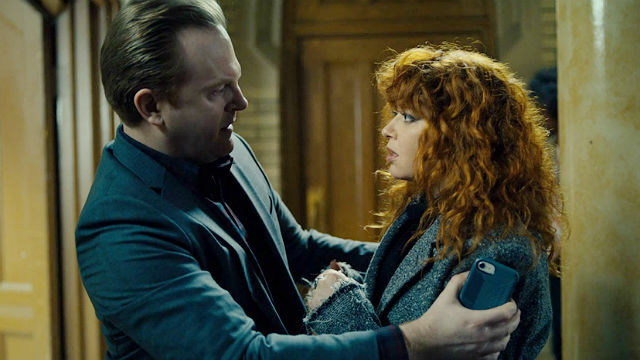 We will be recapping all eight episodes, starting with Russian Doll season 1 episode 1. It was Nadia’s 36th birthday, and her artist friend, Maxine, threw her a party. Nadia started off in the bathroom. In the kitchen, Max made chicken and offered Nadia her joint laced with cocaine. Nadia worried to Max and Lizzy about having a midlife crisis. She hit on a pretentious professor, Mike, and they left together. Outside of Max’s, she saw a homeless man across the street and felt like she knew him. They went to a bodega for cigarettes and condoms, and to ask about Nadia’s cat, Oatmeal, who sometimes hung out there. Oatmeal had been gone for three days. The store clerk Ferran came in with his ill friend, and Nadia sent a lost group of men the wrong way. Nadia got Mike a ride home and worked on the latest game she was designing. She ran out of cigarettes and while out getting more, she saw Oatmeal across the street. When she chased after Oatmeal, a cab hit Nadia, and she died. Nadia was back in Max’s bathroom with only a vague feeling that something was off. She worried that it had to do with Max’s apartment being a former Yeshiva school. She spoke with Mike and remembered he had a son. Instead of leaving with Mike, she saw her shrink, Ruth, who just arrived. Ruth pointed out it was a tough birthday for her since Nadia was now older than her mother ever was. Max set up a projector she had rigged with a light show, and the flashing lights reminded Nadia of when the cab hit her. John, Nadia’s ex, checked on her when she rushed back into the bathroom. Nadia told John her suspicions, but he pointed out that she doesn’t seem like someone who was just hit by a cab. John offered to look for Oatmeal with her. She saw the homeless man across the street again. After their exchange, she spotted Oatmeal in his place, and John saved her from another car. Nadia found Oatmeal in a park. She held Oatmeal by the Hudson, but when she looked down, the cat was gone. Nadia fell backwards into the water and died. Nadia came to in the bathroom again, spitting water. She ranted at the universe for messing with her and blamed Max’s joint. Max told her she could leave, and Nadia bumped into Mike as she did. He steadied them both before they could fall down the stairs. Outside, she saw the homeless man and walked the opposite way. 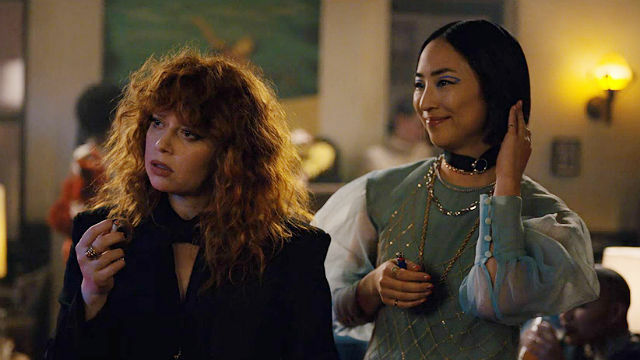 The post Russian Doll Episode 1 Recap appeared first on ComingSoon.net.